While Canada VPN user numbers have been making steady gains over the past years, Canada is still among the countries with the lowest VPN usage in the world – at least according to recent research. And that’s something that concerns us, mostly because we’re willing to bet not many Internet users in Canada actually know why they should be using a VPN whenever they go online. In fact, some users might actually believe they don’t need a VPN for Canada simply because there’s nothing threatening their digital freedom. If that’s your reasoning, we can’t say we don’t understand it. However, we feel it’s our duty to point out that, if you dig deeper, you’ll soon find out that “online rights” are not exactly words the government and Canadian ISPs are familiar with. Did you actually know that your own government authorizes the Communications Security Establishment (CSE) – an electronic spy agency – to monitor what millions of Canadian citizens, just like you, do when they are on the Internet? The CSE says they don’t, but even if we take them at word, that still doesn’t change the fact that said metadata can actually revela a lot of info about you and your device(s). Some studies have even shown how metadata can reveal info like sexual orientation, political affiliations, medical info, and religious beliefs. Oh, and your emails aren’t safe either. The CSE has actually been known to collect and store millions of emails from Canadian online users – all under the pretense of “filtering out malware.” Nice excuse, right? The CSE is also fond of using the “national security” excuse to comb through millions of user downloads. According to the Snowden leaks, the agency tracks up to millions of files and videos that are downloaded daily by Canadian users – and even users from other countries too! What’s more, the CSE isn’t the only surveillance agency you have to worry about. Apparently, US agencies are free to monitor your activities as well, seeing as how approximately 90% of Canadian Internet traffic is routed through exchange points in the US. Even though you’re close neighbours with the US, you can’t enjoy the likes of Netflix US, Hulu, or Crackle US – just to name a few examples. Sure, you’ve got your own Canadian-specific Netflix and Crackle libraries, but the content variety and quality just isn’t the same as it is on their US counterparts. “Networking regulations and copyright rules” are the often cited reasons as to why users like you (who are outside the US) can’t access this type of content, but that doesn’t really seem like a good enough reason to keep you from enjoying your online experience to the max, if you ask us. Want to know the worst part, though? Geo-blocks are a thing even when dealing with Canadian-only content. For example, if you love streaming Sportsnet matches regularly, you’ll have to make do without that if you plan on taking a vacation abroad. That’s because Sportsnet doesn’t allow you to stream their channels if you’re outside Canada – yes, even if you are paying a subscription! That doesn’t only happen with Sportsnet. CTV, Showcase, CraveTV – pretty much all Canadian content and streaming platforms impose restrictions like that. And that’s not all. Sometimes, you might even have to deal with content restrictions in your own country! For instance, if you’re at work or school, your workplace/learning institution might use firewalls, or directly block specific ports to keep you from accessing certain websites on their premises. While one can argue they do that to keep productivity up, there’s really no way to justify someone preventing you from watching your favorite TV show while you’re on a break. Besides collecting user data, ISPs also love engaging in bandwidth throttling. Basically, that means an ISP might slow down your Internet speed when they notice you’re using “too much of their bandwidth” for certain activities, like streaming, online gaming, or downloading files. While they claim to do that as a way to “solve network congestion and improve their services,” it’s quite clear they’re also doing it as a way to make more profit off of you – either by having you pay for excessive data usage, or by having you purchase a pricier data plan or subscription. True, unlike their US counterparts, Canadian ISPs are not legally allowed to sell user data without getting your consent first. However, did you know that they can actually share de-identified data with third parties without needing your consent? In theory, de-identified data should be stripped of all personal info that could trace it back to you, so you shouldn’t have anything to worry about. But what you might not know is that researchers have already shown how de-identified data can be combined with other sources of data to identify you! Plus, US laws regarding ISPs affect you too. Consider this: If you ever travel to the US nowadays, and end up using a WiFi network, a US-based ISP will definitely collect some of your personal data, which they could potentially sell off to a third party. It’s true that engaging in file-sharing in Canada doesn’t always put you at risk of getting a cease and desist letter in your mail. 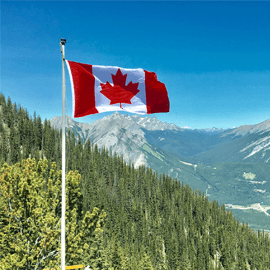 But you also can’t ignore what a gray area torrenting in a country like Canada is – especially when the legal status of file-sharing depends on the type of content that is torrented, and the laws of each province. To make a long story short, you can generally download and share various files on the Internet in Canada as long as said files are not protected by the country/province’s copyright laws. The problem is that companies have to continuously renew their copyright so that their content is considered “protected” by those laws. Because you have no way of knowing if a certain company behind a specific file has renewed its copyright or not. And it’s not like you can just start looking up that info for every single file you are about to download! Unfortunately, that means that you could unknowingly break the law when you engage in file-sharing without using a VPN for Canada. You won’t have a chance to defend your actions, and make it clear you weren’t aware of what you were doing since your ISP will immediately let legal and copyright agencies know about your activities, and you might end up having to pay a huge fine – or worse. Now, let’s make one thing clear – we here at CactusVPN are not promoting online piracy, nor are we encouraging people to use our services to commit copyright infringement. However, we do understand that people might accidentally torrent copyrighted material without even knowing the content is copyrighted in the first place. Also, sometimes, file-sharing is the only way for someone to get their hands on useful work or school-related files as fast as possible. Of course – a VPN will actually set up a virtual private network over a public network (the Internet, essentially) through which your online traffic will get routed whenever you connect to the web. As long as you’ll be surfing the web through that private tunnel, all your traffic and data will be encrypted. Not just that, but the origin of your Internet traffic – your IP address – will become hidden as well. When that happens, you become anonymous online. You just need to run a VPN client, and connect to a Canada VPN server. Yes, it’s as simple as that! The moment you connect to the server, your IP address will be instantly switched with the server’s IP address. Bypass any geo-restrictions of firewalls you come across. No matter where you are in the world, you’ll get to access any kind of content you want. 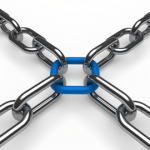 Prevent bandwidth throttling and combat online price discrimination. Enjoy a completely surveillance-free online experience. Nobody will know what you’re doing online – not the CSE, not the NSA, and not even your ISP. Safeguard your private data whenever you are on the Internet – even on public WiFi! Just picking a VPN isn’t really enough. You need to make sure you connect to the best Canada VPN there is. Your digital freedom and online rights are at stake, after all, and making the wrong choice means putting your whole privacy and personal data at risk. Normally, you’d need to look up different VPN providers, and compare them to see which one comes on top. The problem with that is that it can get tiring + it takes up too much time, and time is of the essence when it comes to securing your Internet freedom and privacy. This time, though – you’re in luck; CactusVPN already has everything you need to take your online experience to the next level! What Makes CactusVPN the Best VPN for Canada? Oh, and don’t worry about risks – besides offering a 30-day refund policy, we also let you test-drive our VPN for 24 hours free of charge! With CactusVPN, The Sky’s the Limit in Terms of Content Variety! Want to see what’s on Netflix in the US? On vacation abroad and want to stream your favorite games on Sportsnet, or watch your favorite CraveTV or Slice show? Just use our Smart DNS service to unblock all of that! With CactusVPN, you can connect to one of our other 20+ servers that are located in 14 countries to diversify your entertainment options. 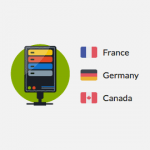 You can also use our Smart DNS to enjoy up to 19 Canadian-only websites (like CBC, MTV.ca, or CTV), as well as over 250 websites and streaming platforms from different parts of the world at the same time – all with minimum effort! Plus, if connection speeds matter the most to you, you’ll love our Smart DNS. We offer unlimited bandwidth, and accessing the geo-restricted websites we unblocked through our Smart DNS won’t lower the speeds your ISP provides you with at all.